Car Photo of the Day: Hero Shot of a Bum Car. OK, not really a bum, but let’s just say it wasn’t highly regarded or well-loved outside of a small group of car enthusiasts. Pretty easy guess, but do you know the car? Sorry for the lack of updates of late. Since my return from the two recent Jag-trips I’ve been enmeshed in the never-ending deck-rebuild project, work, and visits by relatives. I’ll get back to updating the website (in more ways than one!) soon. I have to write up the Monte Shelton Rally story, and I also need to update WordPress asap. Be patient while I hammer and saw behind the scenes. Cadillac AllantÃ©. The King of Understeering. 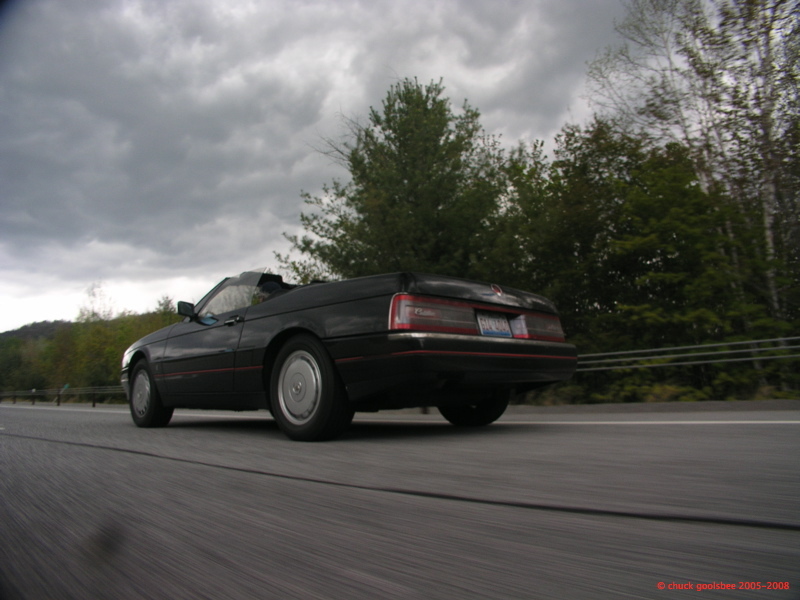 Yup, that’s a Cadillac Allante. It’s an ’87 – ’92, as it has the faux side vent window. I’ve been reading this site for a while, but just registered and signed up. Love the blog, Chuck! Believe me, Mark there was a FAR worse understeerer: ANY pre-’83 Subaru…simply one of the *worst* handling cars, EVER. My ’57 DKW was FAR better a handling vehicle (nay, far beter than any front-driver, up til the 80s) than an early Soobie. Agreed, vroomie…piloting those Soobs was like dancing with the Statue of Liberty. I submit for your consideration my parents’ wood vinyl-on-white ’75 Datsun F-10 wagon, FWD with NO power assist steering of any kind. Even at speed it was terrible, and made my buddy Doug’s Corn Binder Travelall seem absolutely Olds 98-like in comparison. Hey..at least one could change the clutch in an F-10/310 in 45 minutes! It made up for that by needing a $500 labor bill, to replace leaky heater control valves, which cost $5. WORST car Datsun ever made…. Previous Previous post: Car Photo of the Day: Name That Car.